This album was created from the most popular requests on the Aloha JOE® Radio Network. 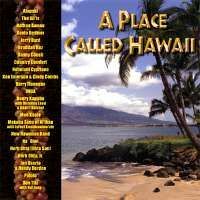 An excellent variety of old and new Hawaiian songs by some of the most popular Hawaiian artists. The CD is a Hawaii Music Awards Winner for Compilation Album of the Year. And of course our good friends, Bruddah Kuz, has a cut on this CD. Relax with the 'sounds of aloha' bringing you 'home'. 5. Sophisticated Hula - Herb Ohta, Jr.